Scotland is the origin of many of the popular fly patterns of the last century, and many are still in common use today. 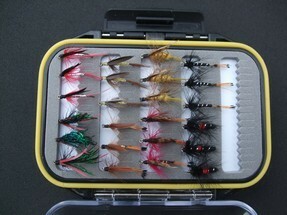 This selection of larger traditional Wet Winged flies are proven trout catchers on any stillwater when fished as a team of 3 flies, normally on a floating line. 24 Flies in 8 patterns.